We are excited to start off spring with a very special wreath-making workshop! 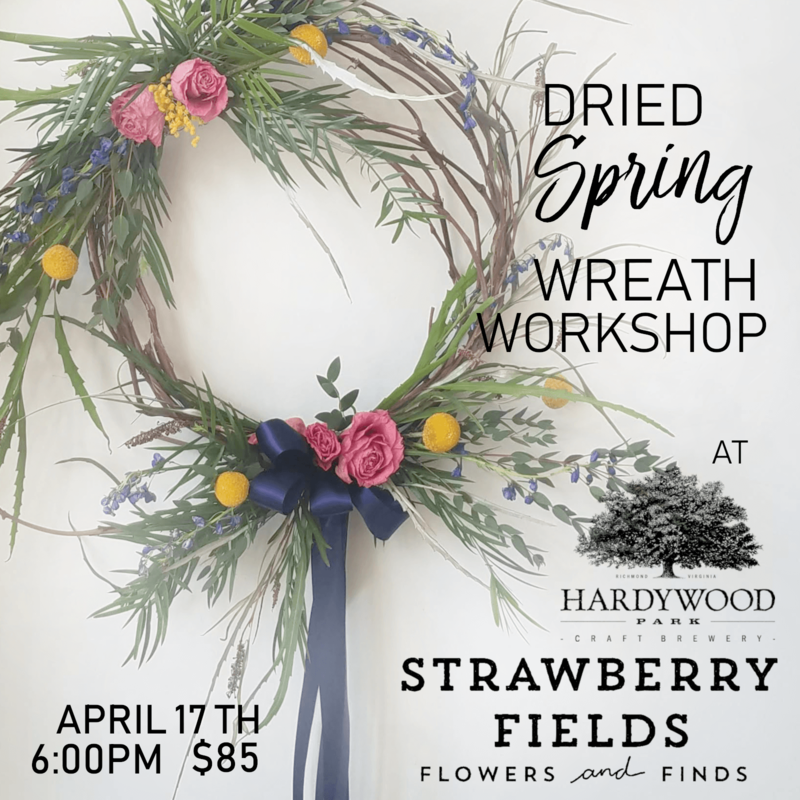 Each participant will combine fresh and dried components to create a long-lasting wreath to take home! You will be introduced to the art of drying flowers and learn about different types of flowers, drying techniques and design methods that compliment the natural shape of the materials. One Hardywood drink ticket is included! To learn more about our wonderful host, Hardywood, and their current beverage offerings visit their website! No experience is necessary and all ages are welcome. You must sign up online, or at the Strawberry Fields shop to attend. ***Workshop fees are non-refundable or transferable.